There are days when we want our coffee fast and without making much effort. For me, though, that’s every day. And this is when grind brew makers come in handy. Are you interested in the convenience these machines can offer? Then this is your day! 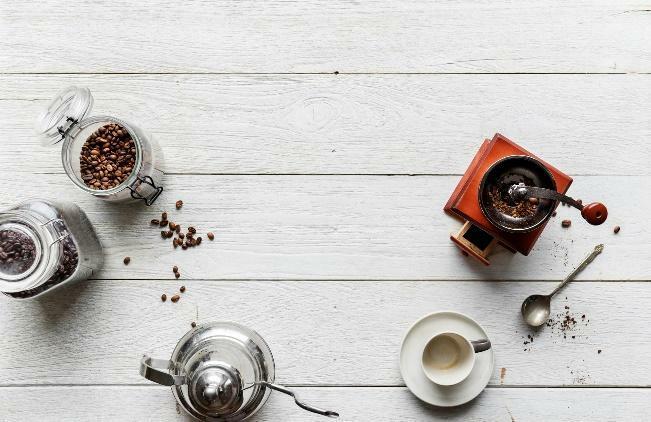 I’ve picked 7 best coffee makers with grinders, each of which has the power to transform your mornings. Let’s dive right in! With its simple button controls and intuitive menu, this model deserves to be called the most user-friendly coffee machine. 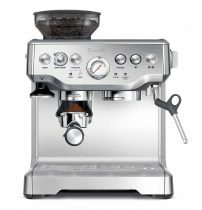 Additionally, it does make a great cup of coffee, which allows it to be on the list of the best coffee makers with a grinder. With the slow grinding process, the Capresso preserves the flavor of the beans without overheating them. You can pick among 3 strength levels and 5 beverage sizes. Additionally, you can program the machine to make you fresh coffee with a 24-hour timer. 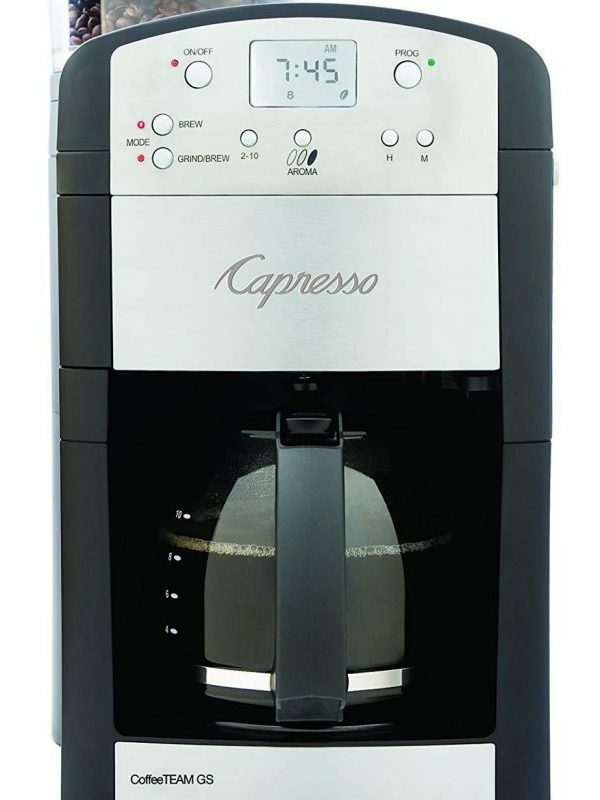 If you want a machine that is easy to understand and control, the Capresso is a great option for you. With just a press of a button, you will get your fresh and flavorful coffee. The next item on our list of the best coffee makers with a grinder is this luxurious model that has an all-in-one design. It allows users to make different kinds of coffee and offers a true coffee shop quality. The DeLonghi Magnifica comes with a great set of features. It is equipped with a milk frother, which allows you to make more than just straight espressos. It also works with both whole beans and pre-ground coffee. Additionally, you can set the coffee concentration and the amount of water to find the perfect ratio for your ideal beverage. If you are going to use tap water in your coffee maker (instead of bottled or filtered water), it’s probably a good idea to consider investing in a coffee machine that has an integrated water filter (charcoal, for example). This way, your coffee will taste better and your brewer will serve you longer. Overall, this is a great all-in-one machine. It’s really worth every penny and it can make any coffee enthusiast happy. What makes this machine outstanding is its ability to make exceptional espressos. Using a high-pressure pump extraction system, it offers a bold flavor and a rich, full-bodied taste with every cup. This machine is very nicely built and has some weight to it. Therefore, you will use it for many years. It comes with an integrated milk frother, which gives you the freedom to make different beverages. It implements tamping and pump extraction, which results in great-tasting espressos. It also reaches the optimal brewing temperature quite fast thanks to its efficient heating element. This machine is perfect for someone who loves espressos and wants a fully customizable drink every time. If your budget allows for it, investing in the Breville Barista is definitely worth it. This particular model is rated highly in many grind and brew coffee maker reviews. Why? Because it packs many cool features and offers great value for money to its users. Featuring intuitive button controls with a bright LCD display, KRUPS is the best grind and brew coffee maker for people who want simplicity in use and customization. You can pick the coffee quantity, the grind level, and the coffee intensity. There’s also a programmable auto-start function, which will allow you to get a fresh cup of coffee first thing in the morning without the need to wait. Despite some minor flaws, this is a great automatic grinder and coffee machine. It is ideal for people who want good value and simplicity in use. The next item on the list of the best grind and brew coffee makers is this compact, simplistic machine that brews great-tasting coffee and comes with many cool features. Cuisinart 700BC offers great value for money. This coffee maker comes with coffee and water filters, which is very handy. Additionally, it allows for customization: you can pick the strength, the volume, and even change the preset grind level. There’s also a programmable auto-start feature for your convenience. If your coffee machine comes with a carafe, consider its material. Glass carafes allow you to see how much of a beverage you have left. Sadly, they do not keep the coffee hot for too long (usually, no more than 20 minutes). However, if you leave the carafe on the thermal plate, your beverage will stay warm longer. If you want a simple, programmable, and affordable coffee maker, this model will definitely suffice. It packs many useful features and makes great coffee. What else is there to wish for? This is another highly rated model according to numerous grind and brew coffee maker reviews. And there’s a reason for that. This coffee maker is rather flexible and versatile in use, which means it is suited for almost anyone. Featuring an integrated burr grinder, Breville Grind Control also works with pre-ground coffee (in case you prefer some flavored beans of a specific brand). This model also allows for 8 coffee strength settings, 6 grind levels, offers a single-cup coffee dispersion (in different sizes too), and brews a full carafe. If you want to take full control of your beverages, this model would be a great option for you. It allows for customization so that you could always get a perfect cup of coffee. If you want to save on going regularly to a coffee shop but cannot live without coffee, this machine might be a solution. It doesn’t have all those fancy features. However, among the cheapest models, it’s the best. Despite being so affordable, the 550BK brews a good cup of coffee, especially if you use quality beans. This model is also programmable and can automatically start brewing in advance. The carafe has a 12-cup capacity. However, you can also brew 1-4 cups at a time. Thermal carafes are made of stainless steel that is vacuum sealed. This type keeps coffee hot longer but doesn’t allow you to see how much is left. A thermal carafe can offer you some hot coffee up to a couple of hours after it’s been brewed. However, these carafes are quite tricky to maintain. If you are on a really tight budget, this model will suffice. It makes good coffee and has a simplistic design. However, it’s best to upgrade it to something a bit more advanced once you get a chance. Even if you have an automatic grinder with diamond blades and a professional barista at your service, your coffee will still taste like garbage if you are using bad beans. Now, you may be wondering “How do I distinguish bad beans from good beans?” Don’t worry, I will teach you. Roast date. This one is more important than the “best by” label. Coffee beans are considered to be the freshest from 4 days to 2 weeks after being roasted. Origin. It determines the flavor of the beans, which makes this aspect very important. The most coffee-rich and famous world regions are Colombia, Hawaii, Brazil, Kenya, Ethiopia, and Indonesia. Of course, you can test the beans from other (more unusual and exotic) regions, but I recommend familiarizing yourself with these ones first. Self-serve (or scoop) coffee. If your local stores offer self-serve coffee beans, try to avoid them. Coffee shouldn’t be stored in those large plastic containers exposed to air and light. When you know how much you can spend on your new machine, you can think about the features you want it to have. 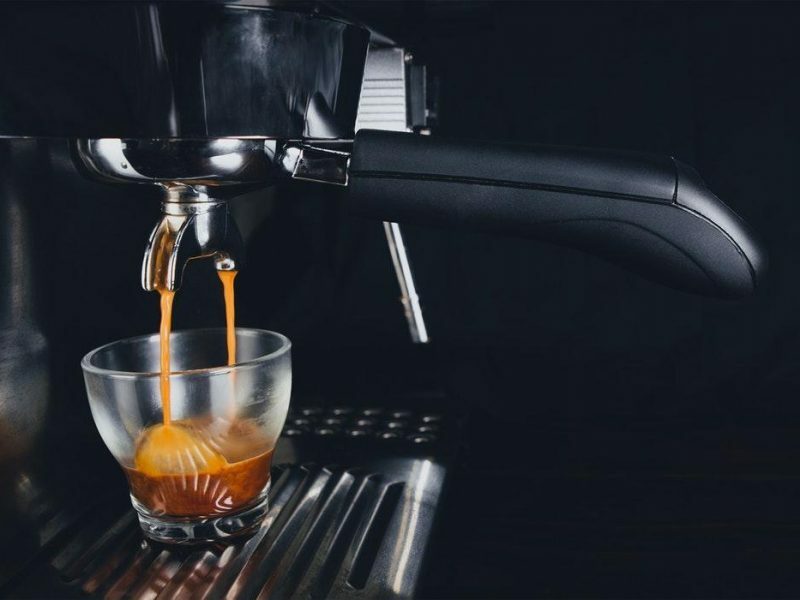 More expensive models offer such extras as brew strength setting, different coffee styles, grinding levels and sizes, and more programmable functions. Place of sale. Local coffee shops are always the best place to buy freshly roasted coffee beans. If you are lucky enough, you can even meet a roaster who is passionate about what he or she does. In this case, you will get all the needed info and maybe even the recommendations about what beans you should try. If you can’t find such a place where you live, you can always try online. There are many coffee companies that offer regular coffee delivery and free consultations online. Now, oftentimes people buy new grind and brew coffee makers without actually knowing, which coffee beans they prefer. And there’s nothing wrong with that. You just like delicious coffee and don’t really care what beans go into it. Once you get your own coffee maker with a grinder, you become the only person responsible for your beans. And you need to know them. The most popular and common ones are Arabica and Robusta. Arabica is known for its fruity flavor with some sweet notes. Additionally, it has a higher acidity. As for Robusta, such beans are higher in caffeine, stronger than Arabica, but less flavorful. Store the beans in an airtight container (or at least in a closed jar). Avoid keeping the beans in your fridge or freezer (no matter what some might say, this storage method might actually ruin the flavor). Give your preference to dry, cool, and dark places (like a cabinet or a pantry far away from your cooking stove or radiator). I know, picking a coffee maker with a grinder might seem like a complicated task. All those types and names can be overwhelming. However, when looking at burr vs. blade grinders and their comparison, there isn’t much to learn actually. A chamber with a double blade at the bottom. The blades spin very fast and chop the beans up. These grinders are super convenient to use, do not cost much, and can be found at pretty much any kitchen (or even grocery) store. However, they don’t allow you to regulate the grind size and can be rather inconsistent. Additionally, blade grinders oftentimes eliminate too much heat when grinding coffee beans, which can influence the flavor. When shopping for fresh coffee beans, avoid packages that say ‘100% pure coffee’. The thing is, if the manufacturer feels the need to state that their coffee is PURE, something might be wrong with those beans. Think about it: isn’t it always pure? What else can be there? If those beans are really high-quality, the label ‘100% pure’ wouldn’t be needed. So, you get the idea of a blade grinder. But what is a burr coffee grinder? Their design involves, well, burrs (duh!). Two burr pieces grind a few beans at a time, which allows for a more even grind. The burrs are usually made of stainless steel or ceramic. They allow users to adjust the grind size (by moving the burrs closer or farther), offer a more even grind, and tend to be more durable than the blade type. However, burr coffee grinders are more expensive and aren’t that accessible (you might need to look for them online). Fill your blade grinder with any type of uncooked rice (just enough to fill the chamber). Grind the rice for around a minute or until it turns into flour. The flour will absorb the oils from the beans, which will leave your grinder clean. Dump the flour out and wipe the grinder using a damp cloth or paper towel. And you’re done! Unplug the grinder (just in case). Get rid of the coffee bits using a soft brush. Use special cleaning pellets for a deeper clean. Simply grind them as normal. If there’s still some coffee left in the hard-to-reach spots, use a toothpick to get there or disassemble the burrs using a screwdriver. Just make sure you’ll be able to put everything together afterward. Wipe the parts with a damp cloth and let them dry completely before assembling. Now that you know how to clean a coffee grinder, you can expect it to serve you for a very long time. So, why would you want to buy a coffee machine with a grinder? Well, firstly because you will drink more of a better-quality coffee. And we all know that coffee offers some really great benefits, even for our health. Improved convenience. When you get a 2-in-1 machine, you don’t have to grind the beans separately and then transfer them into your coffee maker. More control. Many modern coffee machines with grinders allow you to set the grind size. Fresher coffee. When you grind your beans right before brewing a cup, you get the richest, the freshest tasting coffee. Obviously, the list can go on since different people buy coffee grinders and brewers for different reasons. But it’s clear that such machines truly have a lot to offer. If you’re anything like me, you believe that nothing can compare to a freshly brewed cup of coffee. Each of these 7 machines can easily satisfy your coffee needs. However, there is one that managed to impress me the most. Want to know which one? It was the Breville Grind Control (model BDC650BSS). This machine has everything you might need. It grinds coffee using a fast and efficient burr system. It brews a single cup at a time or a full carafe. It allows you to set the brew strength and the grind fineness. Basically, this machine was made for you to be able to make your perfect, ideal cup of coffee. Doesn’t it sound like a dream? 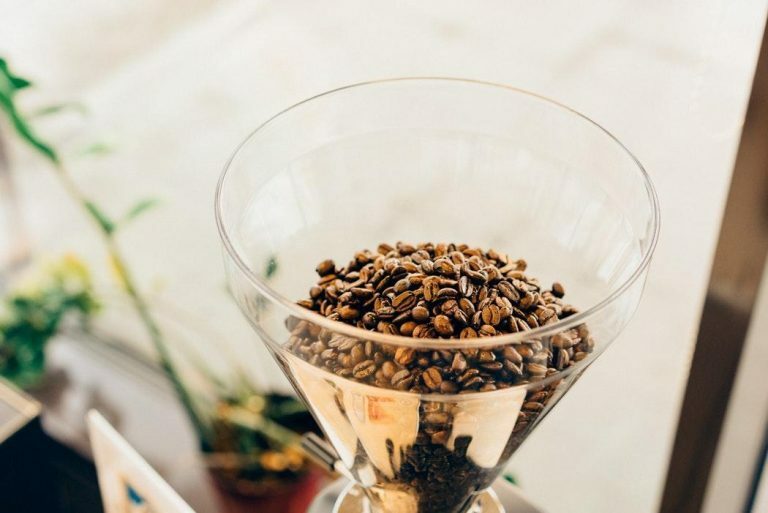 Do you think grind brew makers are worth investing in? Or are you going to stick to the old methods of separate grinding and brewing? Share your thoughts in the comments!